Ever heard of a band called Vulfpeck? Chances are your answer is no. The Michigan-based band only has 4,700 likes on Facebook, a total of nine tweets and just a handful of songs available. Yet they are currently making waves with what might be the smartest crowd-sourcing scheme to come along in quite some time. 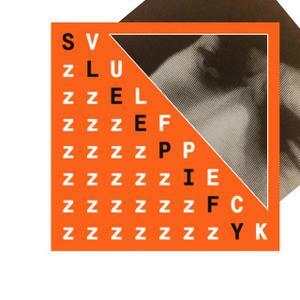 The four-piece released their latest album, Sleepify, on Spotify this past Tuesday. It’s a fairly short album, composed of ten songs just over thirty seconds each. Upon listening to it, however, you might be a little confused. See, the album is quiet—very quiet. In fact, the whole thing is totally silent. According to the band’s leader, Jack Stratton, the album is meant to be played while you’re sleeping. Using Spotify’s pay scale of $0.005 per stream, users will have generated around $4.00 in royalties for the band by the time they wake up. If every fan listens to the album every night, the band could conceivably tour entirely for free. Not only that, but the band could plot the entire course of their tour depending on where the album was streamed the most. The campaign has already garnered the attention from Billboard and Gizmodo, the latter of which lovingly refers to it as a way to “scam” Spotify. As of right now everything seems to be within the rules . . . but that may change once Spotify realizes what’s going on. However, this could be a groundbreaking new way for bands to use Spotify to their advantage. All they have to do is ask fans to play their songs while they sleep and watch as the royalties roll in. So what do you think? Is this a legitimately ingenious way to raise money, or is the band ripping Spotify off? Let us know in your comments. May 6, 2014 Chelsea Sherman Comments Off on Why is Facebook advertising in your news feed?